"The first birth was a puppy with its insides on the outside of the body. We took him to the vet and said spare no cost, try to save him. However there was nothing they could do. It was not just his tummy on the outside, but his whole chest cavity. I could see his whole heart beating. We had the vet put him humanely to sleep so he would not suffer." Full-term puppy born with stomach and chest cavity on the outside of his body. 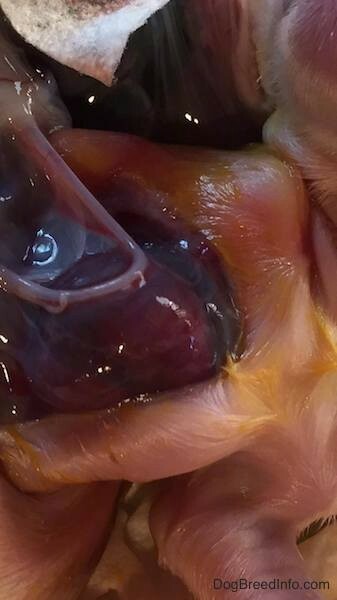 Picture also shows the placenta. 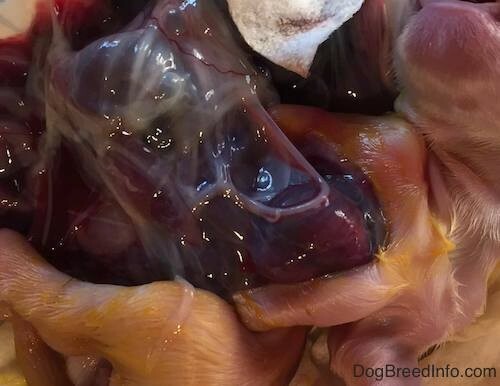 The breeder sent this pup to the vet within five minutes after birth telling them to spare no cost in trying to close the pup up, but because the chest cavity was also open in the heart was on the outside there was zero chance of survival. The puppy was humanely put down to rest. 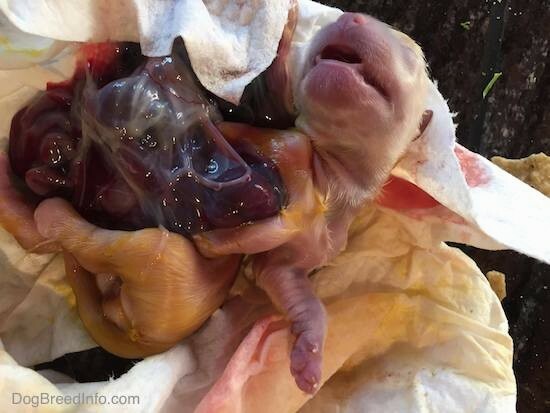 Close-up of a puppy with stomach and chest cavity on the outside of his body. 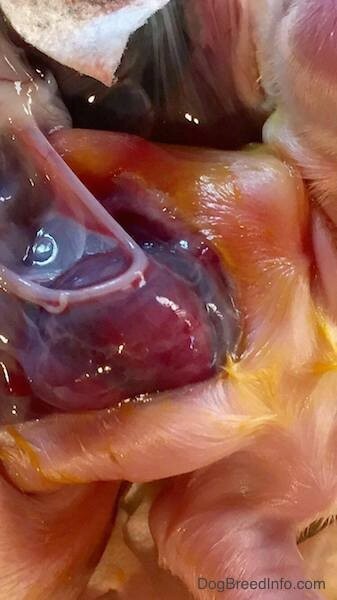 Close-up of the heart inside the chest cavity of a puppy on the outside of his body.